Mike Wayland, Hollister store manager, recently met with Mo in Dallas Texas to strategize about the star’s 2014 plans. 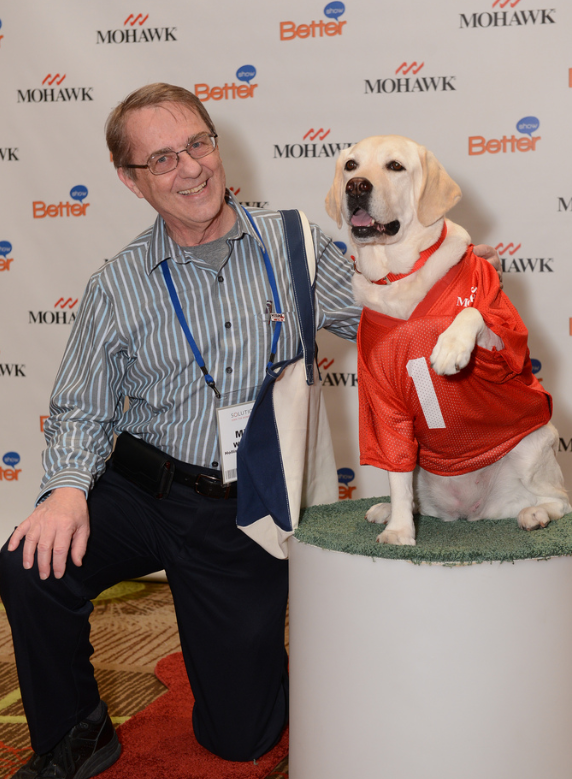 Mo will appear throughout 2014 in the Better Show, a syndicated lifetime TV show that airs weekdays on 155 channels and nationally on the Hallmark Channel. He is the first dog to ever be a TV correspondent. Also, Mo will have his own 12-series webisode and will travel to key cities throughout the country to participate in “messy” events and help demonstrate the incredible worry-free benefits of SmartStrand Carpet. Mohawk Armormax Offers 50 Year Finish Warranty!